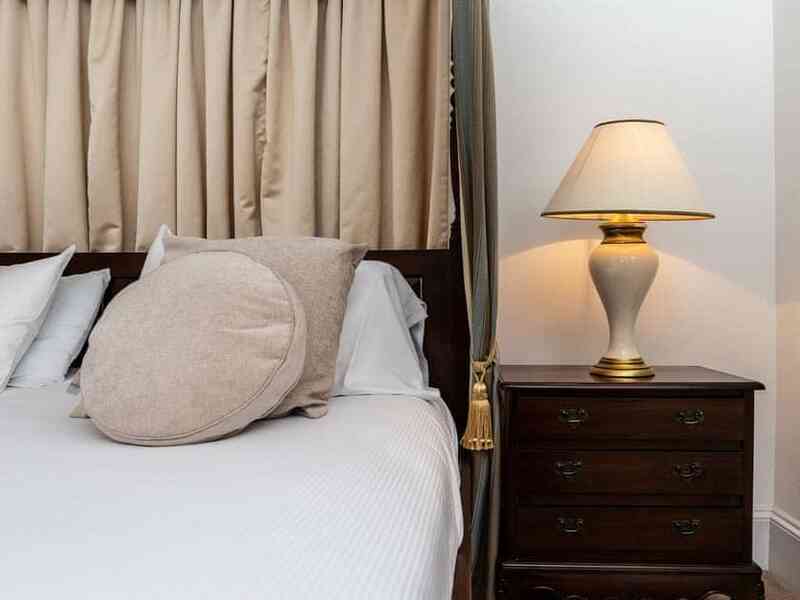 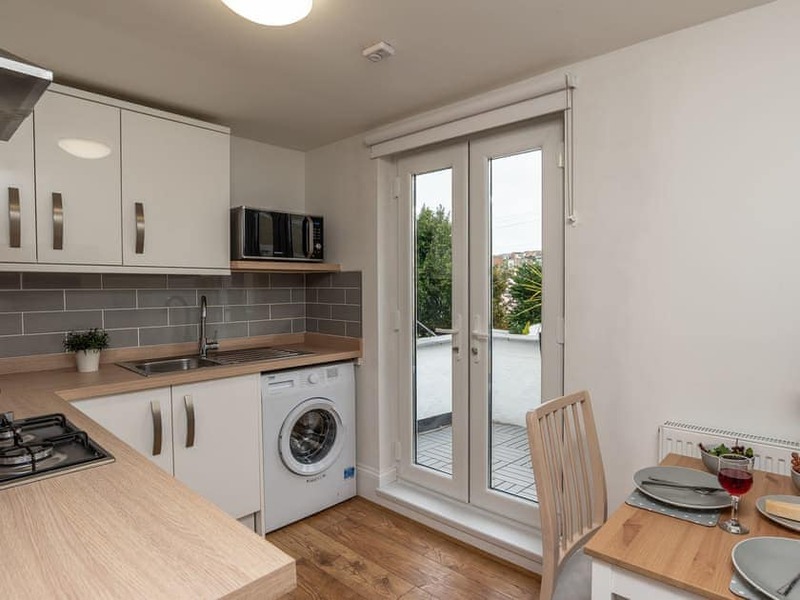 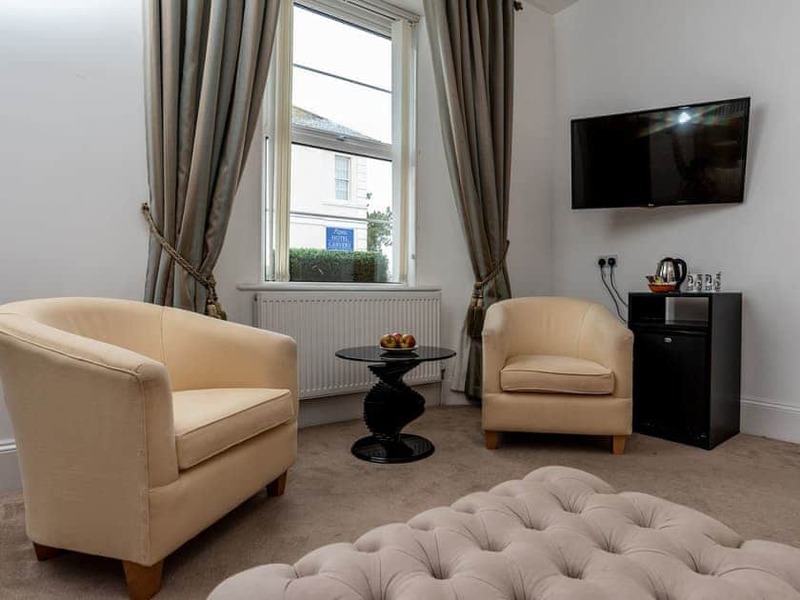 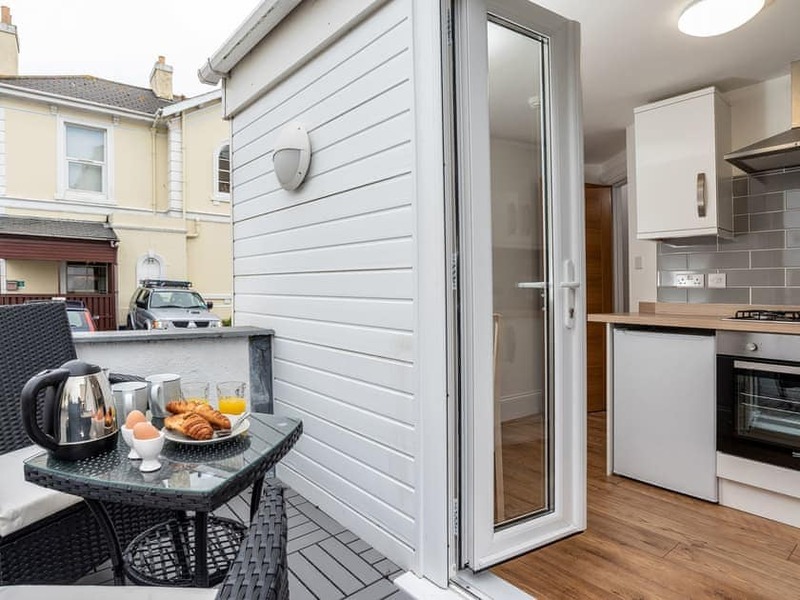 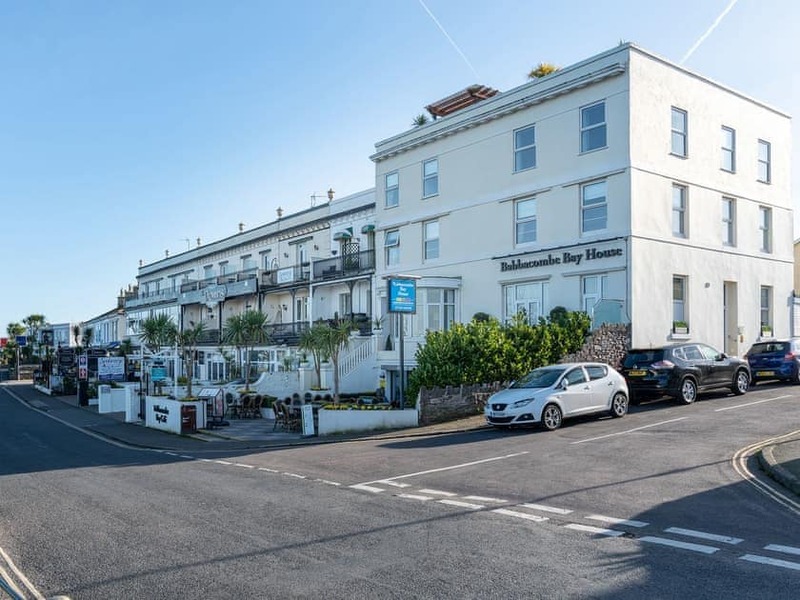 A ground floor studio apartment with a four poster bed and a short walk from the beach. 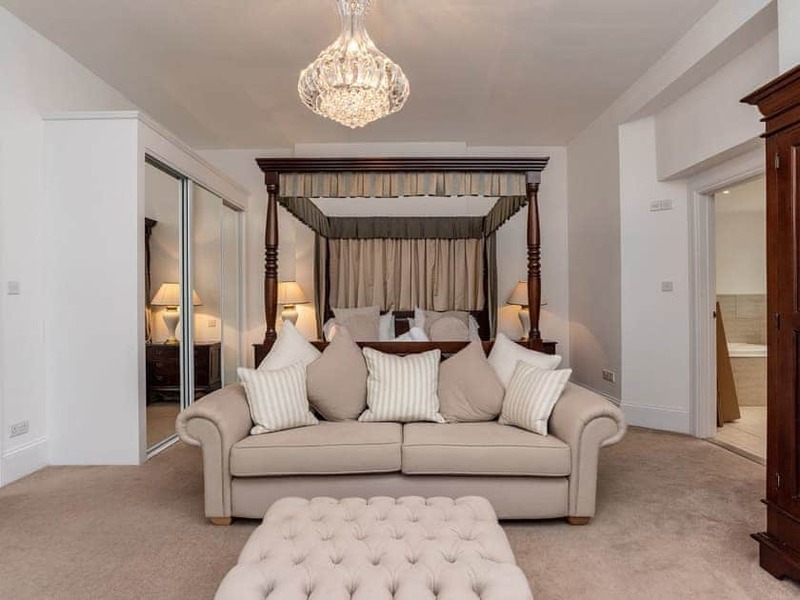 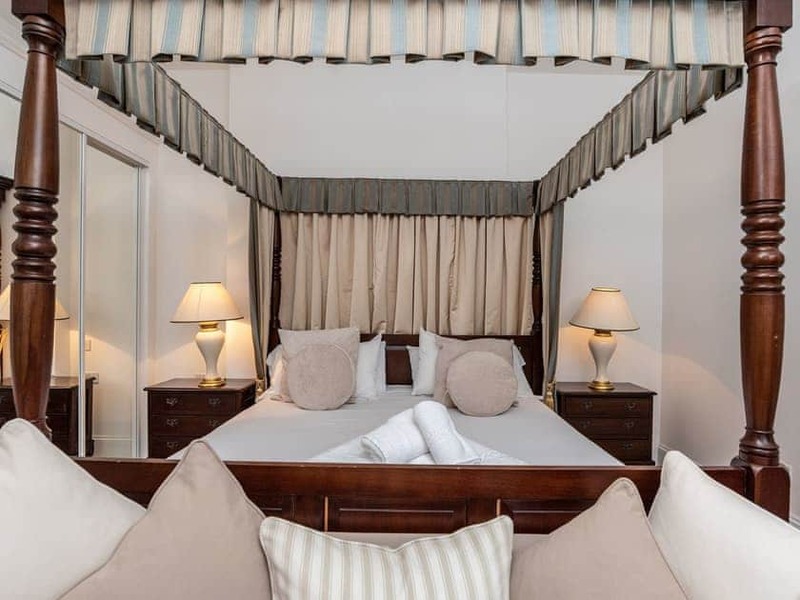 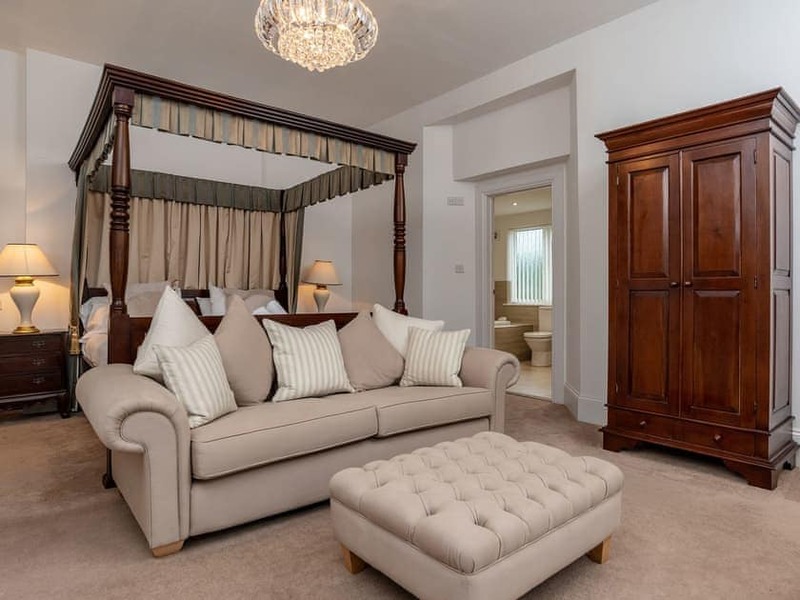 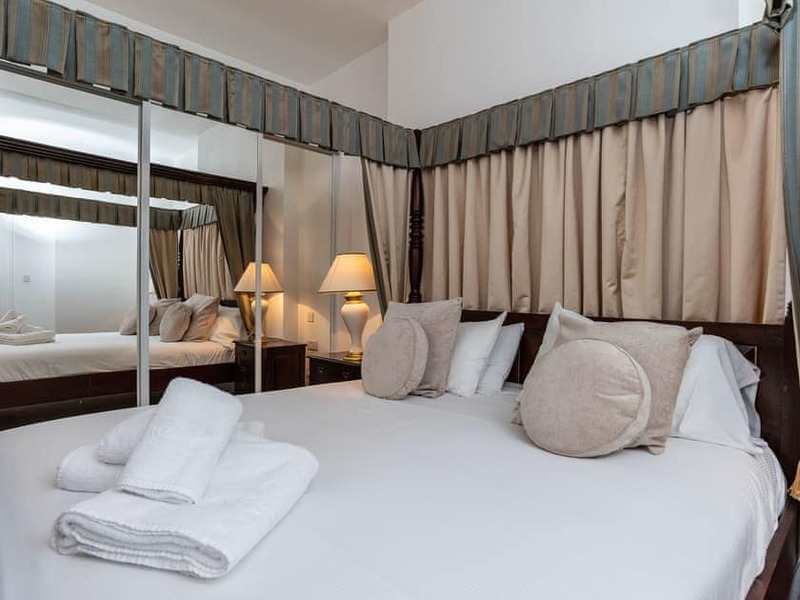 The first thing you will notice on entering this ground floor studio apartment is the sumptuous, four poster super king size bed. 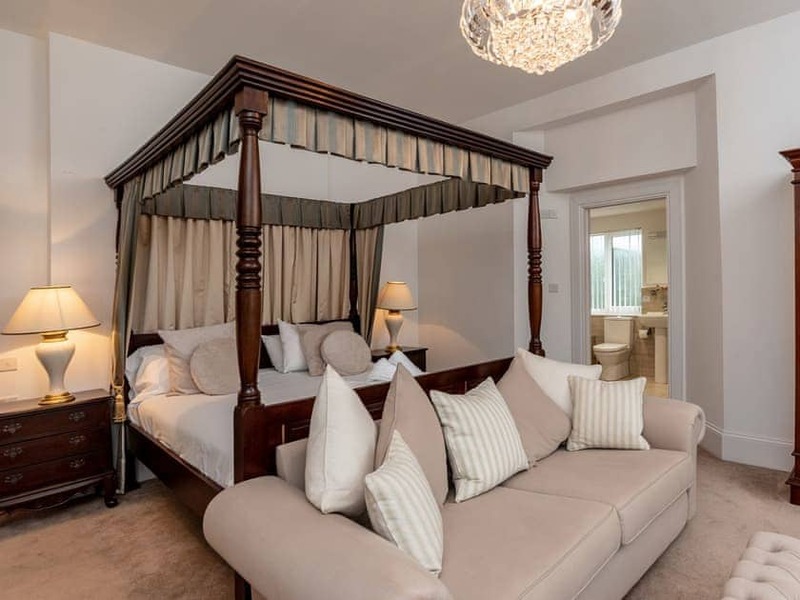 Pair this with the gorgeous chandelier, and you have the perfect property for a romantic holiday by the coast. 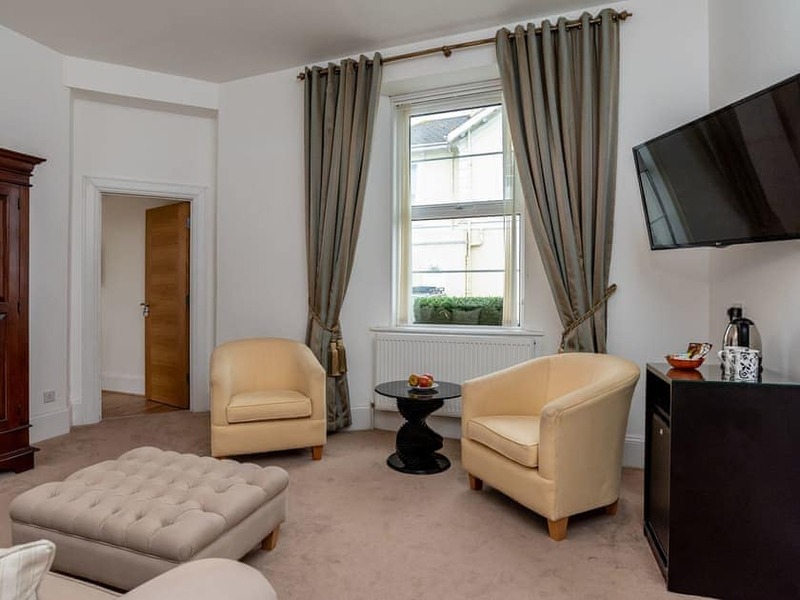 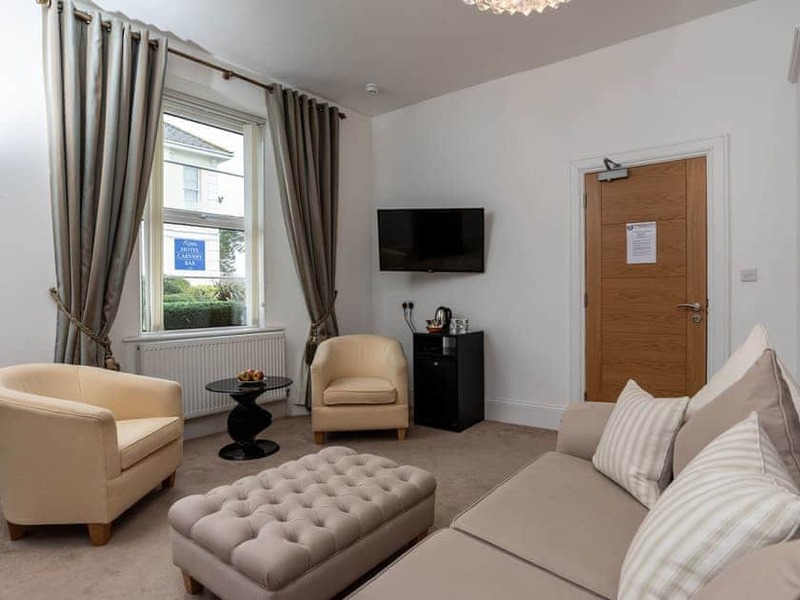 The bedroom is open plan with the living area, so you can cosy up in that wonderful bed and watch a film on the Smart TV. 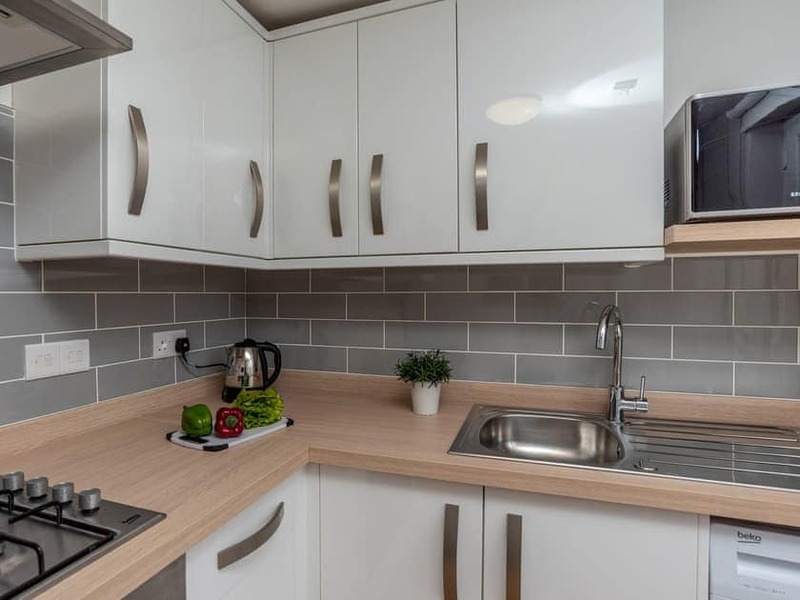 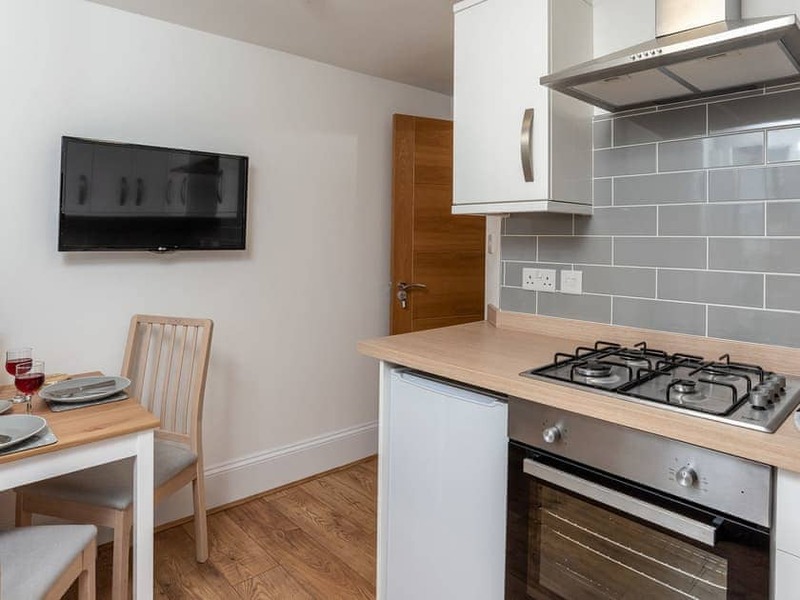 The kitchen/dining room also has a TV, so you can catch up on your favourite programme whilst making a romantic meal for two. 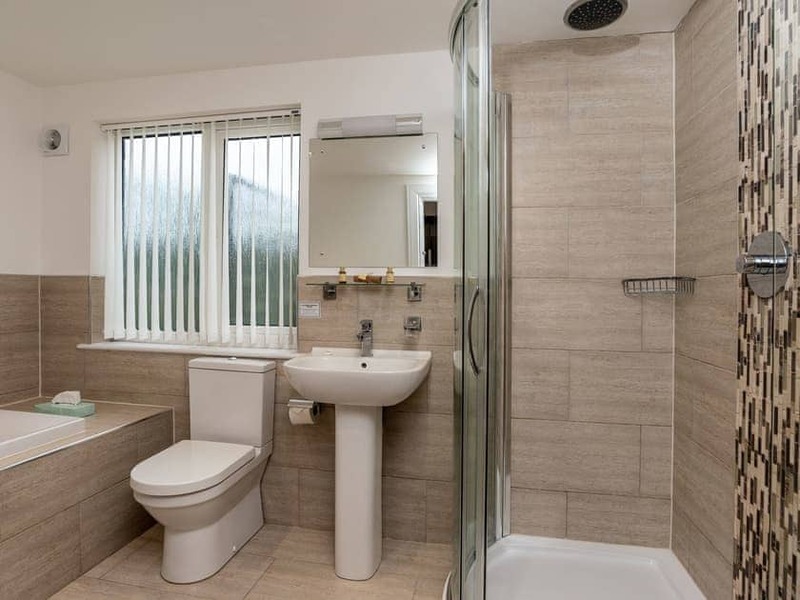 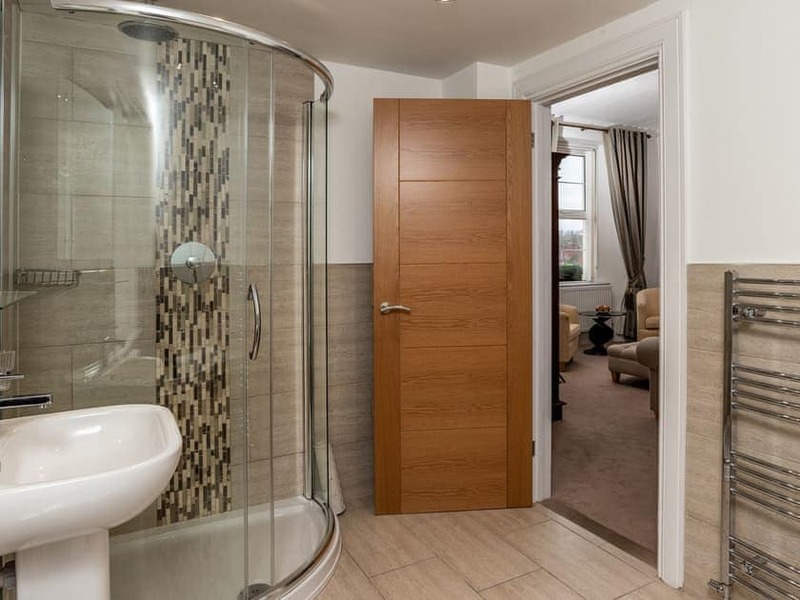 The modern bathroom has both a bath and separate shower cubicle, so after a day spent on the beach, wash the sand off in a relaxing bubble bath. 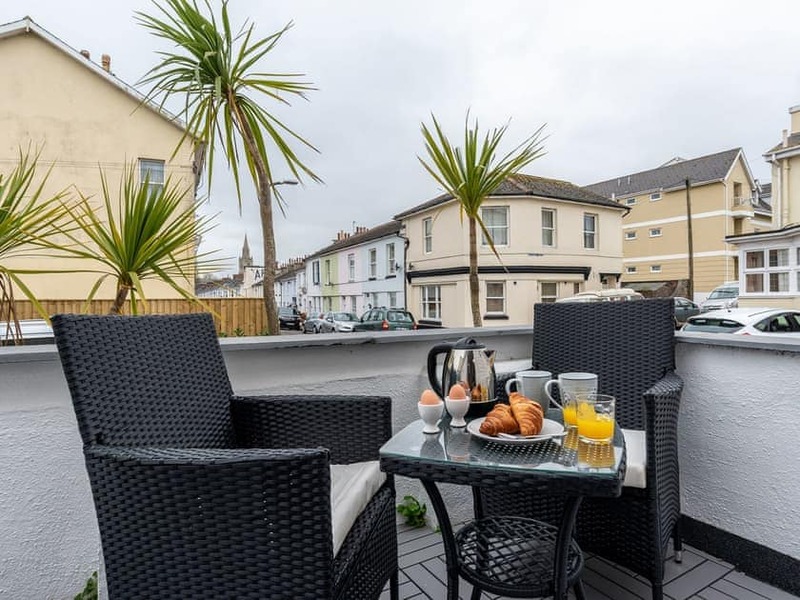 Outside there is an enclosed terrace, so in the evening why not take a bottle of champagne out and toast to an amazing holiday? 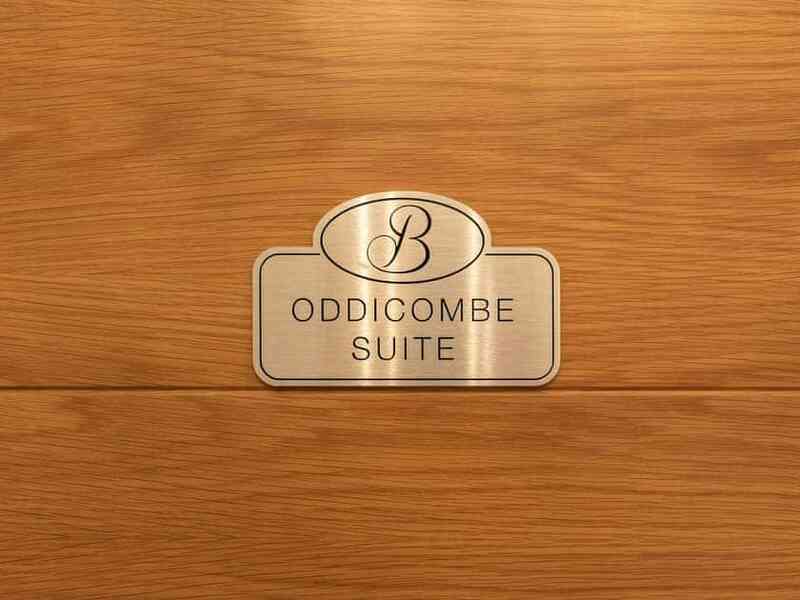 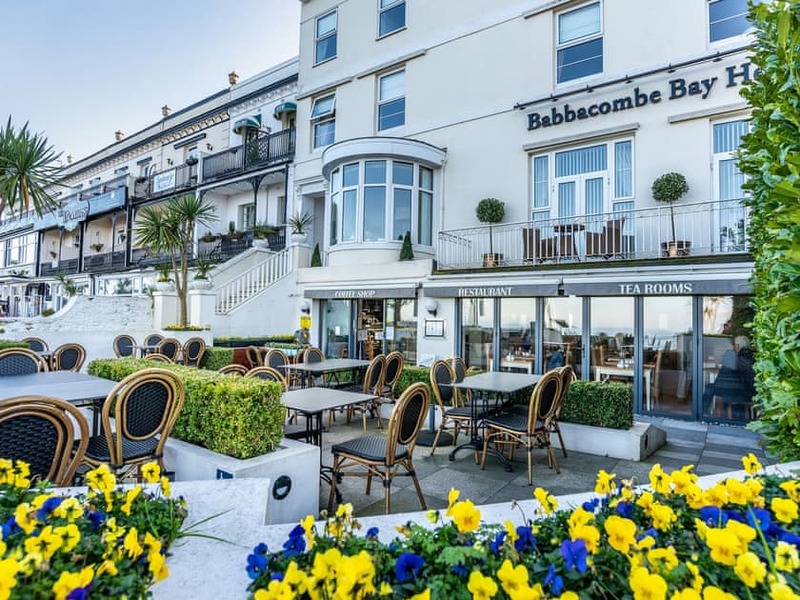 Oddicombe is a short walk from Babbacombe Beach so is ideal if you are looking for a break by the sea. 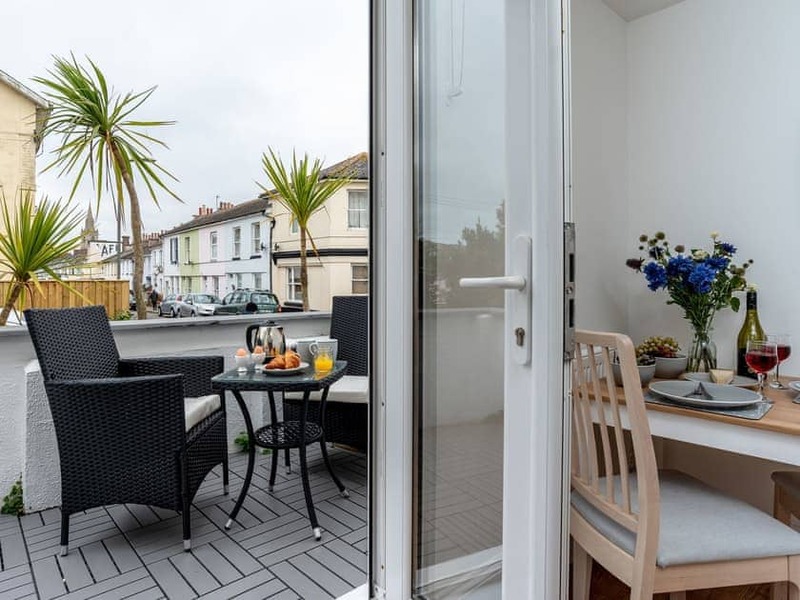 There is plenty to keep you entertained in the resort of Torquay, including a wide range of restaurants if you fancy a candlelit dinner. 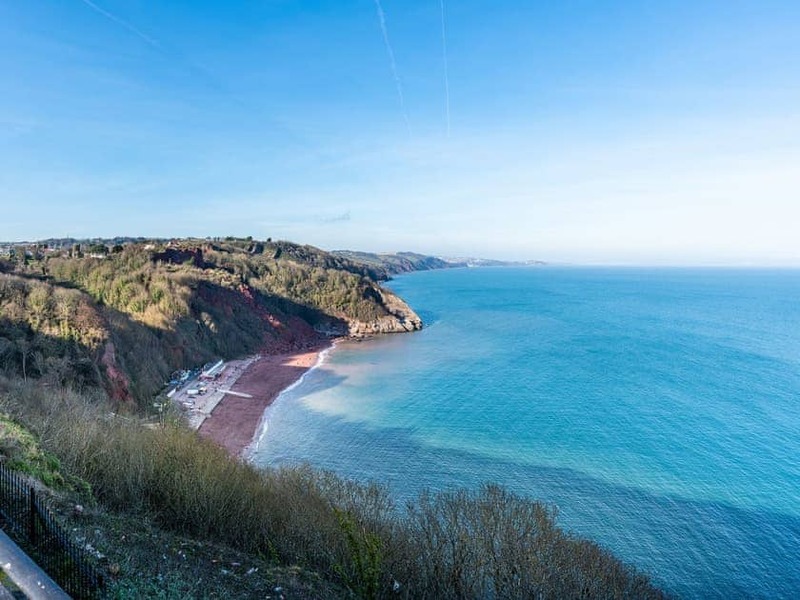 For the shopaholics amongst you, visit Dartmouth with its boutique and high street stores.